Australian Chinese Medical Association of Victoria Inc - Tax tips - how to be a Winner! Tax tips - how to be a Winner! Bank of Melbourne and ACMAV are proud to announce our new partnership from 2016. 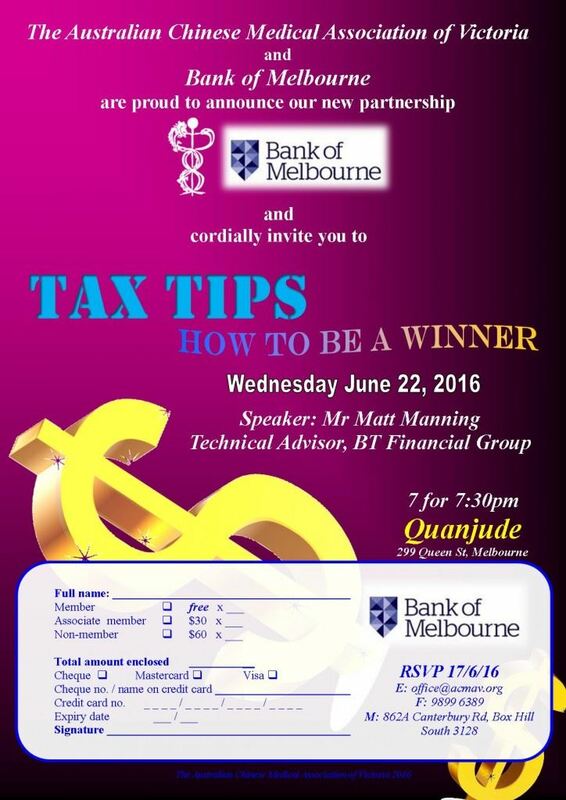 To mark this event, we will be holding a Tax Tips dinner seminar at Quanjude on 22 June 2016. With the end of financial year coming soon, this is the perfect opportunity to hear from the expert Mr Matt Matting (BT Financial Group) and put yourself in pole position.